Our latest News _ Scroll Down to Read! Just a note to internet users, make sure you use an updated browser like Google Chrome or Mozilla Firefox and don’t use Internet Explorer. Most of the problems we see come about the computer ‘freezing’ and slow are solved by asking which browser you are using! What do you click on? Oh – I just click on the blue E ! Well don’t. Internet Explorer is not good enough when you are on Facebook and watch video or other media. The new Edge browser on Windows 10 is improved, but still can cause problems. Microsoft trying to better Google Chrome, but they fall short. Stick with Google Chrome, or your preferred one, and make sure to keep it updated! Cheap Laptop for the kids or YOU! We have secured stocks of some used, but well checked over and reloaded laptops. These are a great option for an extra laptop for kids, or indeed anyone who needs another cheap laptop. We have some 14in HP’s and some 15in Toshiba’s from only $199. All have webcams, wireless, fresh windows and all with 3 month warranty. Call us or call in for details! more info here. A week ago, a new ransomware variant known as Petya began sweeping across the globe, impacting a wide range of industries and organisations, including critical infrastructure such as energy, banking, and transportation systems. This variant is part of a new wave of multi-vector ransomware attacks that Fortinet is calling “ransomworm”, which takes advantage of timely exploits. The ransomworm is designed to move across multiple systems automatically, rather than stay in one place. It appears that the Petya ransomworm is using similar current vulnerabilities that were exploited during the recent Wannacry attack. This variant, however, rather than focusing on a single organisation, uses a broad-brush approach that targets any device it can find that its attached worm is able to exploit. It appears that this attack started with the distribution of an Excel document that exploits a known Microsoft Office exploit. Because additional attack vectors were used in this exploit, patching alone would have been inadequate to completely stop this exploit, which means that patching needs to be combined with good security tools and practices. We recommend and sell Bullguard Internet Security. Remember, update your Windows, back-up you files regularly, and have decent Protection! Click the pic to go and download a free 60 day trial. You can by a subscription from us if you want! Microsoft launched its latest version of Windows 10, Windows 10 S. It’s designed for education and to take on Chromebooks and Chrome OS. Just like Google’s own OS, Windows 10 S is fairly locked down in places and you’ll only be able to run apps from the Windows Store. It is faster and will give more battery life, but say goodbye to being able to install all your favourite programs, you will have to go the the Microsoft Store to get ‘Apps” for it. The Microsoft Store has been lacking in quality apps, and they hope software makers will get on-board, so we will see. Microsoft will support alternative browsers in the Windows Store, but Windows 10 S users won’t be able to alter their default browser. That means if you click on a link from an app in Windows 10 S then you’ll be forced into Microsoft’s Edge browser. That’s similar to Google’s Chrome OS, which only lets you use Chrome as the browser. Microsoft is also locking down Microsoft Edge to only work with its Bing search engine in Windows 10 S. That means you won’t be able to switch to Google search to easily type in queries in the address bar or elsewhere, and you’ll have to access the search service through Google.com. Fortunately, if you need desktop apps that aren’t in the Windows Store then Microsoft has a quick fix for Windows 10 S. For $49 you can upgrade to Windows 10 Pro and get access to desktop apps. If you are like me and want the flexibility to customise your computer the way you like it, and have the programs installed that you know and like, this another reason to hang on to Windows 7! We have updated our website to make it cleaner, more user friendly, and mobile device friendly. We hope you like the new look, and new features. www.kauricomputer.co.nz the best homepage for all! The emails can be accessed by the green email icon on the left hand side. You can change the appearance of the internet links by clicking on the ‘classic’ button on the right hand side. There is also instructions on how to make our site your ‘homepage’ at the top left of the page. Try the Google Map button on the RHS. Also the Weather button. With Location sharing ON in Google Chrome, it will give you the closest Weather Station! When viewed on a mobile device, the layout is completely different, the common links are as buttons, and if you want more, click the more button at the bottom, and get all the banks, News and much more! You can contact us via the contact at the bottom! If you prefer our old site, there is a green link below the google search. To make the old site your homepage, follow the ‘homepage’ instructions, and add /classic/ after www.kauricomputer.co.nz in your homepage setting. DO NOT CALL. just shut your computer off, and restart, do not believe what you read!! Sometimes a popup with warnings is undetected by a antivirus program, and causes no bad effect. Phone Scammers doing the rounds AGAIN! 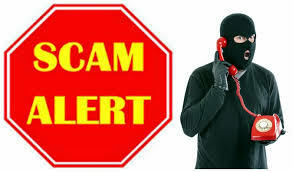 We have continually warned you about phone scammers. Well they are still calling hundreds of people, with the same twist – they say they are from Microsoft, or even Spark, and tell you your computer has been hacked. Don’t be fooled, get rid of them and definitely DO NOT let them control your computer, or you will be out of pocket, and might have your computer compromised or even disabled! 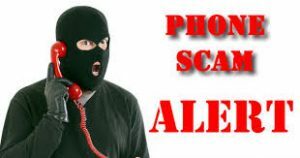 Phone Scammers still at it! HAHA Google Vs Edge Browsers! Ferne Hadvab on Vodafone to ditch e-mail services! Shelli Ullom on Vodafone to ditch e-mail services! Elbert Canady on Vodafone to ditch e-mail services!